A sinister new group of right-wing extremists is trying to revive Oswald Mosley’s notorious British Union of Fascists party. Calling themselves the 21st Century Blackshirts, members look up to former Smethwick MP and Nazi sympathiser Mosley as their spiritual leader. Set up in January, the party has named 54 “officers” from across Britain on its web page which has already had more than 50,000 hits. A Sunday Mercury investigation has discovered that its top two Midland representatives are former soldiers while other district officers in the region include failed local election candidates for the British National Party. Others have links to the English Defence League including the party’s Gloucestershire Divisional Officer Clive Cerrone who is currently awaiting trial accused of setting fire to a local mosque last month. The party website also lists representatives in 11 nations including the US, Australia, Italy and Poland. 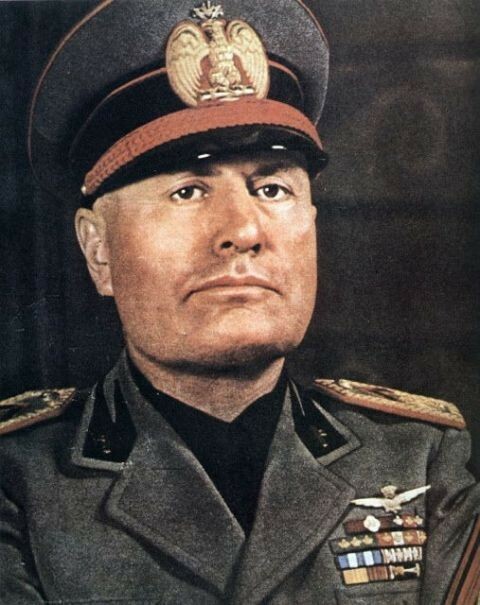 Members are encouraged to dress in paramilitary blackshirt style uniforms, like the type worn by fascist Mussolini’s private army during his authoritarian rule. The NBU lists its Birmingham Divisional Officer as former RAF Gulf and Kosovo war veteran Ian Starks, who was the unsuccessful BNP candidate for Sheldon Heath in last year’s local elections. The 45-year-old, from Sheldon, Birmingham, lists Paganism and Wicca as pastimes on his Facebook page. The party’s West Bromwich officer Jennifer Howells has also stood for election under the BNP banner in local government elections. She sought torepresent Sandwell in 2010. And its Worcestershire officer Brian Meaker, who strikes a menacing pose handcuffed in an Gutanamo Bay style orange jumpsuit, is a life-time member of the BNP. The NBU’s latest recruit is its Walsall officer Matthew Moloney, a 35-year-old dad-of-two and former soldier with the Royal Monmouthshire engineers regiment. He claims to be a carpenter for Birmingham City Council, but a council spokesman said he was not directly employed. A key NBU member is former ‘Policies Officer’ Matthew Gill, a charity worker and Doctor Who fan, who heads the Warwickshire chapter. The party claims not to be racist or anti-semitic but a careful look at its constitution reveals a bitter hatred of multiculturalism and non-white immigrants. “This does not mean being exactly the same, but that they are at least similar enough that their assimilation will be smooth, and have no negative effects on the native population. “Differences cause problems and excessive diversity leads to nothing but trouble.” It adds: “Freedom of religion would not be absolute. All ties with the former homeland of the immigrant will be cut. Gerry Gable, from anti-fascist magazine Searchlight said that the NBU was a sinister organisation with many members claiming to be Pagans or followers of Satanic and Wiccan cults. He said: “Mosley was a Nazi sympathiser and he eventually changed the name of his party to reflect Hitler’s influence and called it the British Union of Fascists and National Socialists. Gary Fiennes-Hastings, editor of far-right monitor website EDL News added: “Time and time again groups try and reform the fascist ideology but this country has a long and proud tradition for fighting fascism. The Sunday Mercury has contacted each of the Midland members identified as NBU members to ask them to comment on their views. But each one directed us to their head office. Last night Gary Raikes, NBU founder – who has taken on Mosley’s preferred title of Leader and signs off his correspondence with ‘Hail Britannia’ – told the Sunday Mercury that he was in favour of racial segregation. He said: “We do not imply that only people from Caucasian Christian origin would be welcome to the UK, we state that whatever their racial origin it would be better if they settled in areas that are made up in the majority of that origin, black, white or whatever. “Officers can belong to whichever political party they wish at this time. Sir Oswald Mosley was born into an aristocratic family in 1896 and grew up in Staffordshire before serving as a Labour MP for Smethwick in the 1920s. In 1938 Mussolini passed laws barring Jews from universities and many professions and later when Germany occupied parts of the country, more than 7,000 Jews were deported to Nazi concentration camps, with many dying at Auschwitz. Mosley returned to England to organise marches policed by his paramilitary Blackshirts and the government was sufficiently concerned to pass the Public Order Act 1936, which banned political uniforms and quasi-military style organisations. On his release an undeterred Mosley continued to campaign on an anti-immigration platform, calling for forced repatriation of Caribbean immigrants as well as a prohibition upon mixed marriages. His papers are housed at the University of Birmingham’s Special Collections. Police are investigating a Midland man after the Sunday Mercury alerted officers to threats he made against local mosques. Peugeot worker John Molloy, from Coventry, told followers on the English Defence League Facebook website that he would “guarantee a few will get bombed tonight” just days after the Woolwich terror attack last month. He went on to urge people to “Take to the streets” in support of English Defence League leader Tommy Robinson after he was arrested. Robinson has been released on police bail after he was arrested on suspicion of obstructing police in London. Mr Molloy, from Wyken, could not be contacted for comment last night.